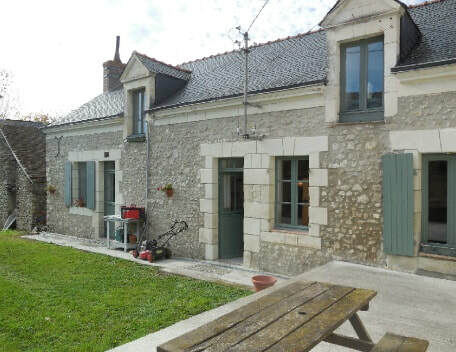 A CHARMING RESTORED HOME IN A VILLAGE BETWEEN BAUGE AND LE LUDE. BAR/RESTAURANT IN THE VILLAGE. 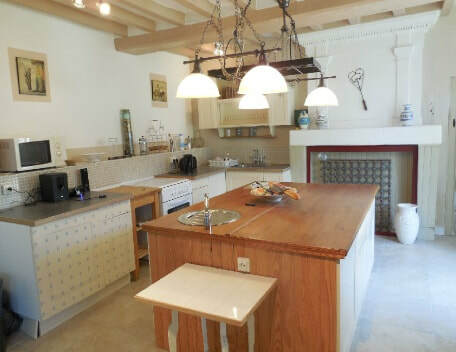 45 minutes from Saumur, in a village with a bar/restaurant situated between Baugé and Le Lude, a light, sunny 3 bedroom village house with a south facing garden. There is a stone outbuilding to restore in the garden. 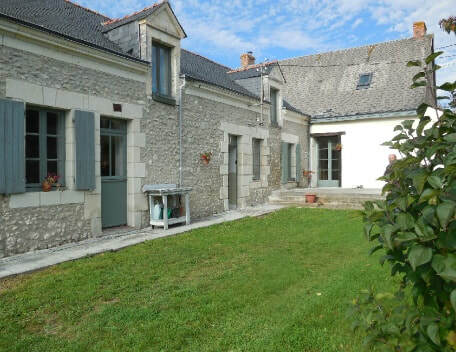 This charming restored home is perfect as either a first or a second home. 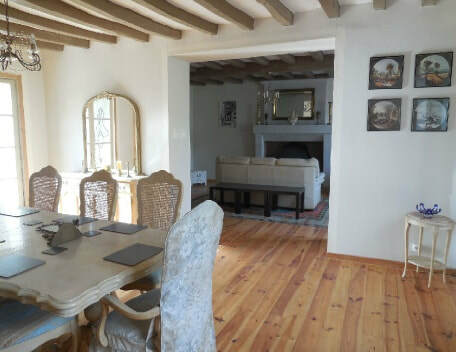 It has a good dining room which opens into the living room, both rooms have a double aspect and there are 2 fireplaces with wood burning stoves. 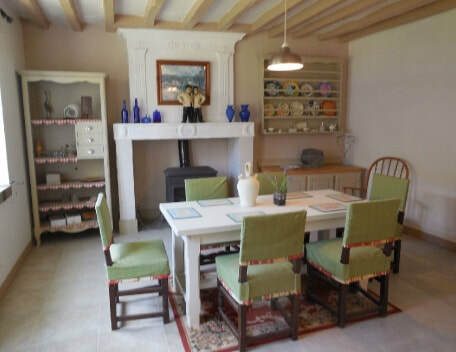 Leaving the living room, a couple of steps lead you into the hall which is perfect for an office and another step down from the hall in turn leads into the large kitchen-breakfast room which has a wood burning stove to one end and to stable doors into the garden. Upstairs a landing leads to the 3 bedrooms, newly fitted bathroom, separate shower and separate wc. 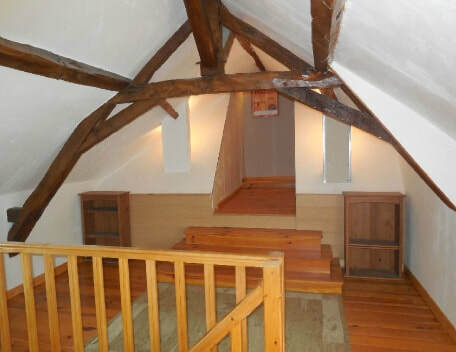 Entrance Hall (11.29m²) with a wood floor. 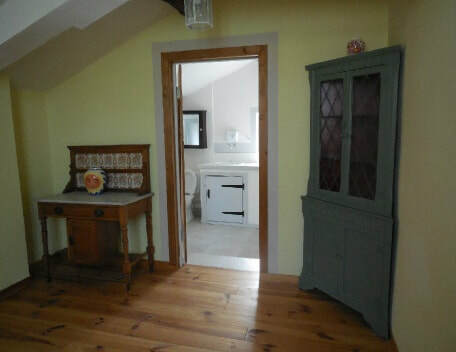 There are doors into the downstairs cloakroom/laundry room and the dining room. Downstairs cloakroom (7.53m²) which has a hand basin, wc and plumbing for a washing machine. The beams are painted and there is a tiled floor. 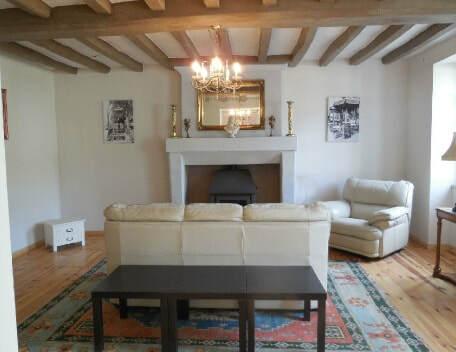 Living Room (24.74m²) which has a wood floor and a fireplace with a wood burning stove. Internal Hall (13.85m²) with a tiled floor, new double glazed window and staircase to the first floor. 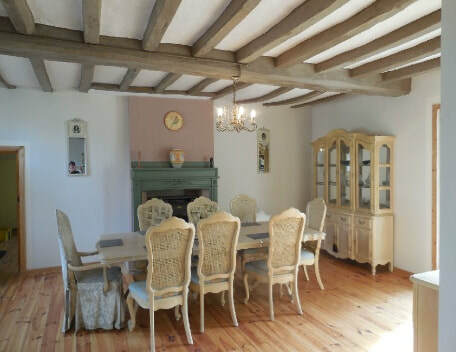 Breakfast Room (24.16m²) which has a fireplace with a wood burning stove, a beamed ceiling, tiled floor and a stable door into the garden. 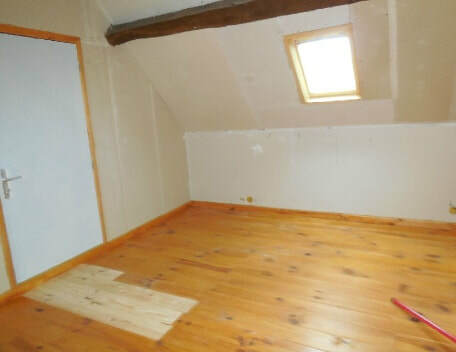 Bedroom 1 (11.5m² at 1.80m and 20.31m² at floor level) which is under the eaves. It has a wood floor and a west facing Velux window. Bathroom (5.03m² at 1.8 and 10.10m² at floor level) with a bath with a shower over, hand basin, toilet and tiled floor. 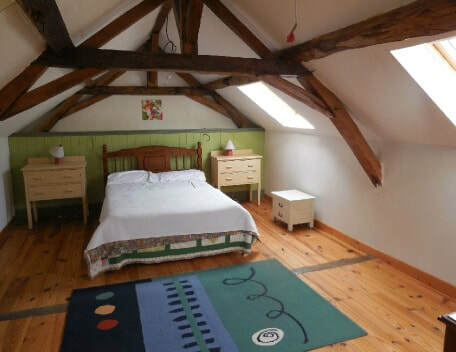 Bedroom 2 with wood floor and a Velux window. Bedroom 3 with a wood floor and a window. 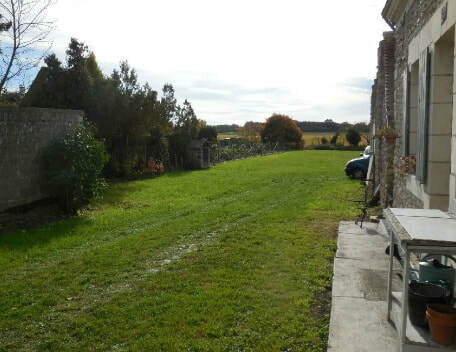 The garden with the property is south facing and approx. 1500m². 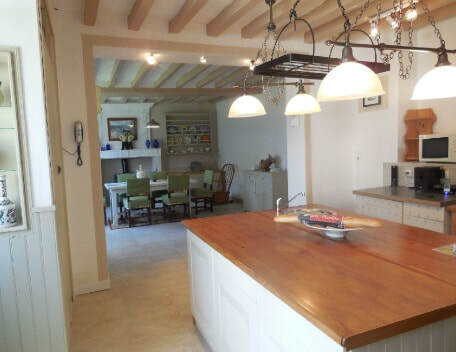 There is a concrete terrace with a French door opening into the dining room and stable doors into the kitchen and breakfast room. The rest of the garden is grass. 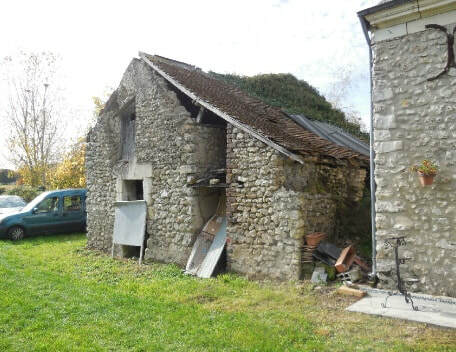 There is a stone outbuilding which needs restoring to make either a garage or a workshop. Mains water, electricity and drainage, broadband, heating by 3 wood burning stoves. The windows are a mixture of single and double glazing. These details are for information purposes only. They do not form part of a contract. Sizes and measurements given are approximate. The owner and the agent do not guarantee the accuracy of any information given. Any prospective buyer should independently satisfy themselves that all the information given is correct before entering into any form of sales agreement or contract.